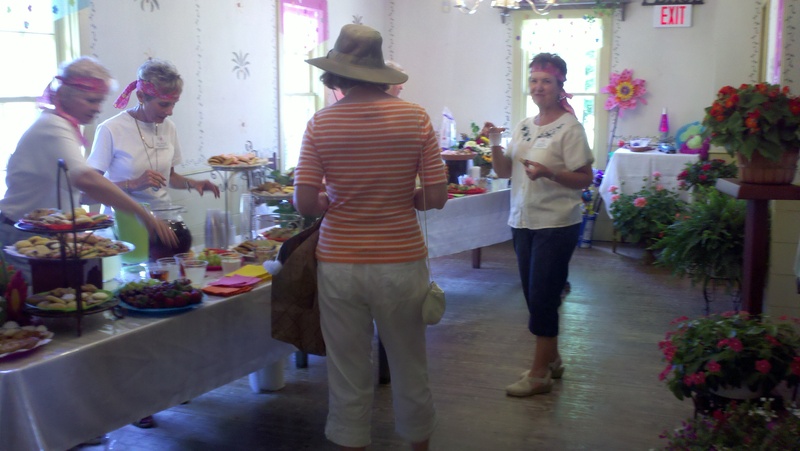 Attendees of the Garden Walk enjoy refreshments. 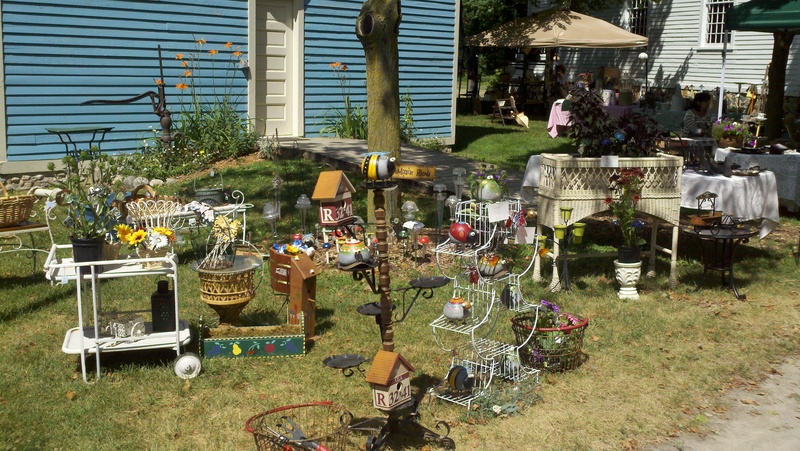 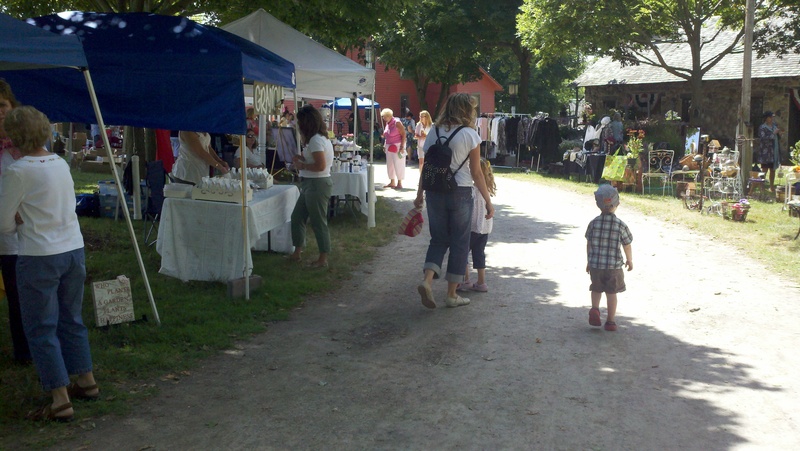 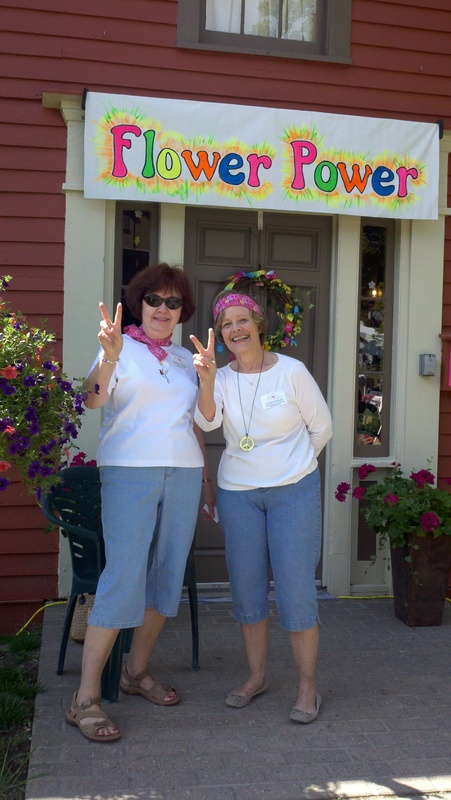 Vendors displayed their wares with historic Mill Race Village buildings as a backdrop. 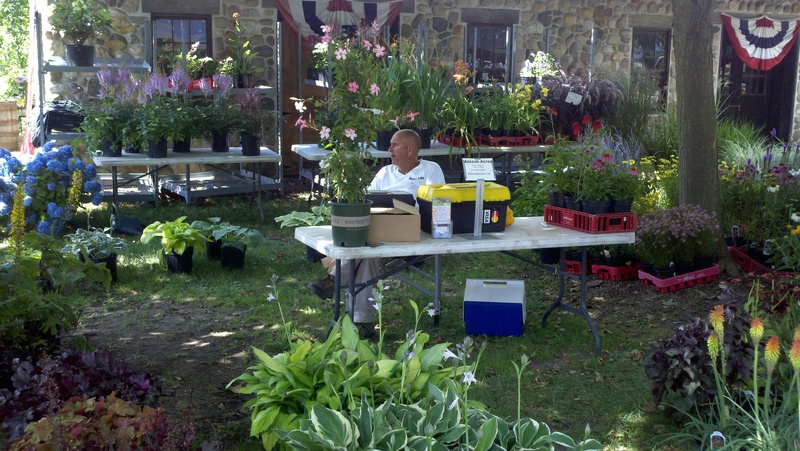 Vendor displays were filled with color. 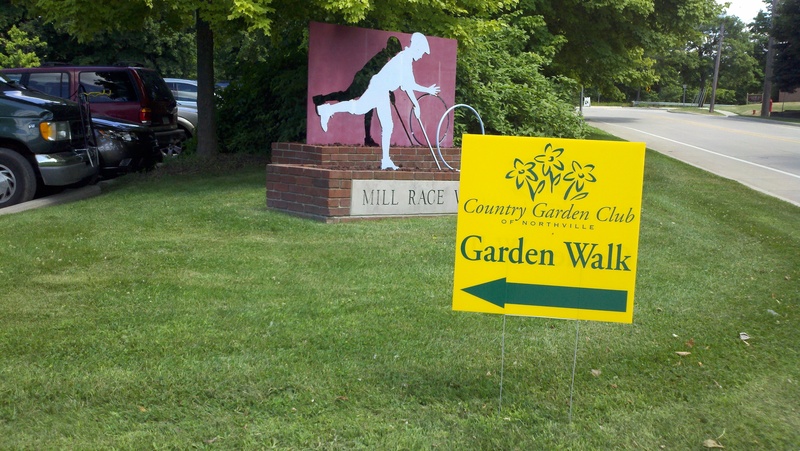 Garden walkers enjoy the wonderful weather and displays at Mill Race Village.